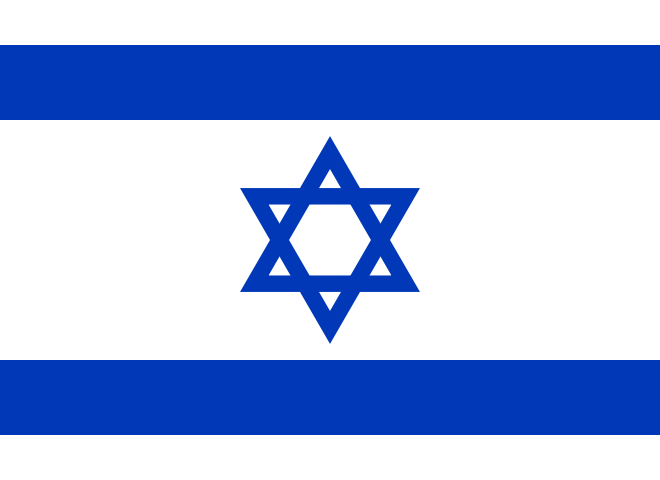 Israel has had a solid reputation among democratic nations as being a fellow democratic state amidst hostile oppressors. Unfortunately, it seems the political climate is taking its toll. Its Reporters Without Borders Press Freedom Index rank dropped in 2009 to 93rd and then to 112 out of 179 by 2013. It is still recognized as a democracy by the Economist Intelligence Unit, albeit a flawed one. Israel’s shakiness in this regard can be attributed to its lack of a concrete body of law as well as a miniscule personal history to refer to in the formulation of laws and jurisdictions. Israel has a turbulent history, being established in the Middle East in the last 60 years as a product of the Zionist movement following World War II. This was not the first time the world had heard cries for a Jewish nation. Jews have been in Diaspora the majority of their ancient history, seeking to establish a nationality in the 1800s. Unfortunately, many factors did not coincide, such as a population at critical mass around the world to make their voice formidable (Zweig, and Engel). Most of its initial population following Israel’s founding in 1948 consisted of Jewish refugees who were no longer welcome in the nations they had previously resided in. In Egypt for instance, “arrests, killings, and confiscations catalyzed the flight of nearly 40 percent of the Jewish community by 1950” (Shindler 63-4). This closely followed the devastating Holocaust and was further evidence for their supporters that Jews indeed needed a place to call their own. Today, about 75 percent of Israel’s population is Jewish, with 20 percent being Arab and the other 5 percent listed as ‘other’ according to the Central Bureau of Statistics. The nation is a parliamentary democracy, relying on a multiparty system. There are three parties in particular with the most prominence: the socially democratic Labor Zionism, the conservative Revisionist Zionism and Religious Zionism. There are also smaller groups that are secular or representative of other religions. Israel does not have a written constitution even though its Proclamation of Independence expressed that it should establish one by 1948, because of the continuous disagreement about whether the law should be secular or reflect the Halacha (Jewish religious law) (“Jewish Virtual Library”). Israel has allowed military censorship, film review boards, newspaper licensing and other means of prior restraint since the country’s establishment (Carmi 2). Until the 1980s, it followed a narrow “near to certain danger” standard similar to the United States’ clear and present danger test, which was established in the 1953 case, Kol Ha’am v. Minister of Interior. When the Minister of Interior suspended communist newspapers, which was within his power according to the Press Ordinance, the Supreme Court decided that unless there was probable danger related to the publication of the newspaper then the papers could not be suspended. The Court ruled that there was not (Schmidt 126-7). A display of press freedom that resulted from this decision occurred 15 years later, when a government-supported paper, the daily Histadrut, held a survey for its younger readers. The survey questioned the aspirations of youth, and three of the 107 respondents declared the destruction of Israel and Arab welfare as their primary hope. Two of the three signed their names on their response and “’demanded that they be published on the basis of freedom of the press’” (Olami 47-8). The eagerness that Israel had at the beginning of its young life to be a fair and progressive nation is evident in these two instances. In recent years the court has displaced the “near to certain danger” standard with the “human dignity” test. The new interpretation came about in 2006, in the decision of Shinui Party v. Chair of Electoral Board Committee, when a political infomercial depicted Orthodox Jews as parasites. The infomercial was banned because, “the protection of free speech does not grant an unlimited freedom to denigrate a person and to harshly hurt his dignity as a human being,” according to Chief Justice Barak’s opinion (Carmi 4). Israel’s formation being so closely tied to religion, this decision displays the difficulty with which even a Supreme Court justice has in separating moral beliefs about integrity and legitimate state interests as they would be defined in the United States, where separation of church and state is of the utmost import. Israel seems to be on a descending slope as of the last seven or eight years in regards to freedom of speech. Where in 2005, the press freedom group Reporters Without Borders credited Israel as being the only country in the region with legitimate freedom to speak out, that assertion was less so by 2010 when human rights groups reported hostility from the government for criticism of its policies. Today, this issue has escalated as the Israeli Parliament has recently backed investigations into these groups because of their alleged involvement in the arrest warrants of government officials abroad, and their encouragement of draft-dodging. One of the group members lamented, “This is a sad day for Israeli democracy” (Macintyre). Many Americans cry out that this is similar to Cold War “McCarthyism” and unacceptable in a modern democracy. In the 1984 Supreme Court case, Alan Levi and Yaheli Amit v. Southern District Police, a group of people organized a march to commemorate a person’s death. A police officer refused their application based on his fear of not being able to control the crowds and offer full protection. The court ruled that the respondent had to allow the march as a form of freedom of speech, and “near to certain danger” was not proven to trump the speech liberty. As in the press cases, this one proves that the 1980s were a strong time for civil liberty in Israel, where the “near to certain danger” test was closely followed. This had changed by 2008. Danker v. Ben-Gvir brought the issues of libel and public defamation to the forefront. During a televised debate, Amnon Danker used the phrase “filthy Nazi” to insult his opponent, Itamar Ben-Gvir. Ben-Gvir sued for defamation. The court ruled in favor of Ben-Gvir and awarded him symbolic compensation, and since then lower courts have ruled that epithets of this type are libelous (Carmi 12). Nowhere in this ruling is the concern for danger articulated, but once again, “human dignity” is the standard upheld. Peaceful protester Abdallah Abu Rahmah was forcibly removed from his home and jailed for organizing weekly protests against the separation barrier that divides Israel and the Palestinian West Bank in 2010 (Dana). The wall was constructed after multiple Palestinian terrorist attacks from 2000 to 2003 killed almost 300 Israelis. He was later charged with 16 months in prison. Many articles shamed Israel for this act and questions were raised about Israel’s commitment to democracy. This instance once again reflects the government’s newfound fear of public scrutiny. A bill criminalizing the use of the word “Nazi” and “similar sounding words” was passed by the Israeli cabinet in 2012, after an Ultra Orthodox group protested in concentration camp uniforms and other Holocaust symbols (Ditz). The passing of the bill, of course, includes every form of the use of such words and severely restricts the current state of speech freedom for Israelis. This bill caused concern from many Americans, who expect Israel not to stray from the path of modern democracy. A final example of Israel’s decline in freedom involves a new version of legislation that does not require those suing for defamation to show proof of damages if they are requesting less than NIS300,000, or $84,000, a fortune for many private citizens. Large corporations backed by the state can sue activists and those with complaints into silence without having to explain: “This is State Terror” (“Veterans Today”). Both the United States and Israel began with a perfect democratic goal in mind. While the United States has progressed toward this goal over time, with hiccups along the way, Israel came out of the starting blocks strong, with the United States to look to for guidance. However, particularly in the last 20 years, Israel has shifted away from modern democracies at an alarming rate. The landmark libel case in Israel, Danker v. Ben-Gvir, outlines libel as any speech that degrades “human dignity,” which is far from the American distinction. In New York Times Co. v. Sullivan, words that express an opinion, no matter how defamatory, are not even considered a concern. Instead the question is whether the publishers of the ad in The New York Times recklessly and with “actual malice,” or knowledge of falsity, published the ad. Since that was not proven, the fact that inaccuracies were in the ad with the potential to harm an official’s reputation were not enough to hold The New York Times responsible for libel. Another distinction between American speech freedom and Israel’s is in the realm of expression. Where Americans are guaranteed the right to express themselves politically or religiously in almost any way (for example, even if that involves burning the American flag like in Texas v. Johnson), Israel’s passing of the bill that disallows the use of words like “Nazi” puts it clearly behind America in that sense. The backing of investigations into human rights groups is comparable to a darker time in America’s past. The events have garnered American attention due to their similarities to “McCarthyism.” The political attacks on alleged Communists during the Cold War represent one of the most blatant infringements on civil liberties in America in the last 50 years. While America has emerged from that time, it appeared to be on the same level as Israel is now. The backbone of American government, the Constitution, has kept the United States from straying far from freedom for an extended period of time. The specific attention to particular rights, such as freedom of speech in the First Amendment, as well as its flexibility for interpretation, has resulted in a body of law that can be adjusted with the demands of the times, while making it difficult to bend the laws too far from their original intent without public outcry. Israel has yet to frame a constitution, though it was expected to have done so by 1948. Instead, it relies on laws scattered among basic laws, other laws, and decisions by the Israeli Supreme Court (“Jewish Virtual Library”). This wide spread layout may contribute to the state’s migration away from its original ideas about speech and press freedom, which were fresh on the minds of former government officials. Rather than having a concrete and objective stabilizer, Israel must rely mainly on the judgment of those in power, which may be swayed with the times. Carmi, Guy E. “”Dignitizing” Free Speech in Israel: The Impact of the Constitutional Revolution on Free Speech Protection.” McGill Law Journal. 57.4 (2012): 2 and 4. Web. 27 Mar. 2013. Cook, Jonathan. “Israel’s New ‘Attack on Freedom of Speech’.” National [Abu Dhabi] 22 Feb 2010, n. pag. Web. 27 Mar. 2013. “Constitution.” Jewish Virtual Library. (2013): n. page. Web. 27 Mar. 2013. Dana, Joseph. “Criminalizing Peaceful Protest: Israel Jails Another Palestinian Ghandi.” Huffington Post 25 Aug 2010, U.S. n. pag. Web. 27 Mar. 2013. Ditz, Jason. “Israeli Cabinet Pushes Bill to Ban Using “Nazi” and “Similar Sounding Words” in Protests.” Anti War 09 Jan 2012, n. pag. Web. 27 Mar. 2013. Macintyre, Donald. “Israeli parliament backs ‘McCarthyite’ investigation into human rights groups.” Independent. (2011): n. page. Web. 27 Mar. 2013. Olami, Ihud. Israel Today. Tel-Aviv: Lino-Tur Printing Press, 1967. 47-8. Print. Schmidt, Yvonne. Foundations of Civil and Political Rights in Israel and the Occupied Territories. Norderstedt: Druck und Bindung, 2001. 126-7. Print. Shindler, Colin. A Modern History of Israel. 2nd Edition. New York: Cambridge University Press, 2008. 63-64. Print. “Israel Sues Citizens for Slander and Apologizes to Turkey.” Veterans Today. Saturday (2013): n. page. Web. 27 Mar. 2013. Zweig, Ron, and David Engel. “The Land of Israel, 1800-1948: Introduction.” Center for Online Judaic Studies. n. page. Web. 27 Mar. 2013.